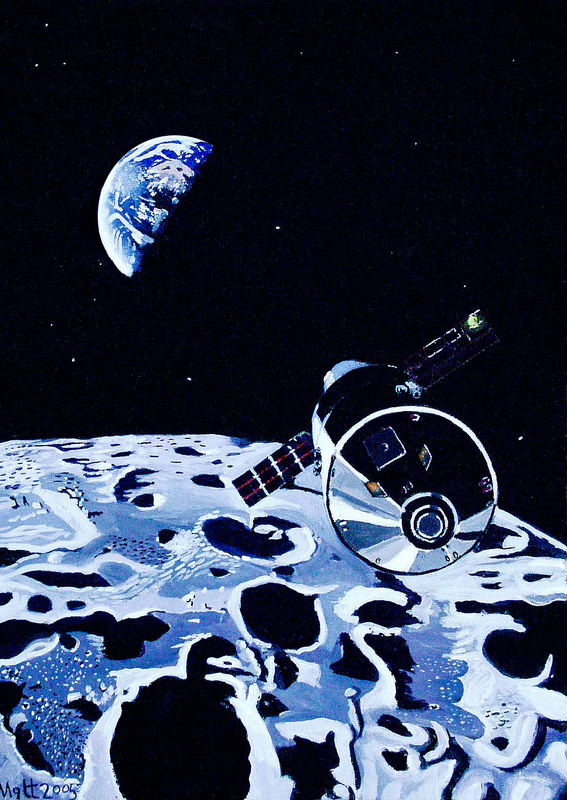 Painted in 2005, this shows an early concept of the Orion capsule orbiting the Moon. Optimistically, I was hoping it would be flying by now! Acrylics on canvas board.